Aswell as an award winning salon owner, I am an international speaker, author, awards judge, consultant and advisor… and still as passionate about our great industry as the day I started, over 30 years ago. I believe that greatness can be achieved when we come together and learn from true experts rather than trying to figure it out all by ourselves. It took me many years to source the very best experts, but their advice was paramount to help me succeed, and now my network is available to you in Beauty Directors Club. Join BDC and my network becomes yours. 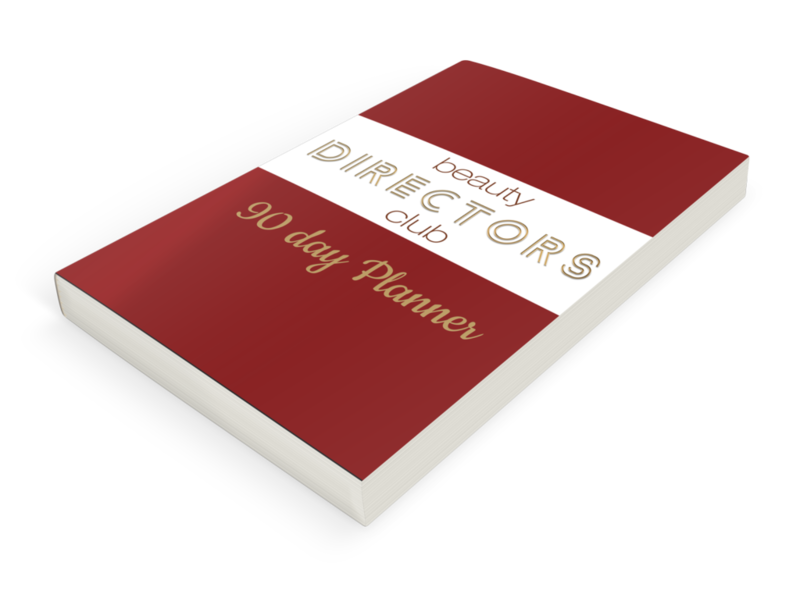 Exclusive to members of Beauty Directors Club, my customed designed, mega-practical 90 Day ‘Success’ Planner can’t be bought anywhere else. Then you’ll need this planner as much as I do. A planner you WANT to own but DO actually use. As a Beauty Directors Club Member, you’ll have direct access to me, as well as a chance to get meet up personally at our bootcamps which will be held twice yearly at a location in the UK. There’s no reason you can’t have the business, life and income you truly desire – but it’s not going to fall into your lap. You also won’t struggle to find plenty of ‘life or business coaches’ offering to help you realise your dream – but how many of them are genuinely out there doing it themselves right now? Who Said You Need To Do It Alone? Are You Ready To Join Hundreds Of Other Salon, Spa and Clinic Directors, And Be The Best Version Of You? This offer is for £47 P/M ONLY – It provides FULL access to Beauty Directors Club And All the content which is added to weekly.